Bobby Schindler is president of the Terri Schiavo Life & Hope Network and associate scholar at the Charlotte Lozier Institute. Bobby advocates for the medically vulnerable in honor of Terri Schiavo, his sister. 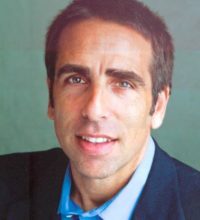 A full-time advocate, speaker, and writer, Bobby and the Terri Schiavo Life & Hope Network have been instrumental in providing resources and support to more than 2,700 patients and families at risk of euthanasia, assisted suicide, and denial-of-care situations from physicians, hospitals, insurance companies, and others. Bobby is a member of the American Society for Bioethics and Humanities, and his writings have appeared in the Wall Street Journal, Chicago Tribune, TIME, The Linacre Quarterly, National Review, Human Life Review, The Washington Times, and others. Bobby’s life took a dramatic and unexpected turn when his older sister, Terri, suddenly collapsed and was left with a profound brain injury. When Terri’s estranged husband sought court permission to starve and dehydrate her to death, Bobby was propelled into a life he’d never imagined. He spoke in defense of his sister on numerous national television and radio programs including Hannity & Colmes, Larry King Live, The Oprah Winfrey Show, The Glenn Beck Program, Good Morning America, The Early Show, The Today Show, Dateline NBC, The 700 Club, EWTN and others. Bobby co-authored the book A Life That Matters: The Legacy of Terri Schiavo as a resource for those seeking to understand an accurate account of Terri’s fight. Bobby has spoken in more than 45 states and in more than a dozen countries. He has spoken especially to young people at dozens of colleges and universities, with special emphasis on medical and law students. He speaks not only with firsthand accounts of Terri’s story—which was often misrepresented by mainstream media—but also on topics relating to the medically vulnerable today, particularly including the right to food and water, medical ethics and the bioethics movement, and how to uphold human dignity for a disabled or medically fragile loved ones. He has testified before state legislatures in Florida, Louisiana, California, Kentucky, Ohio, and has addressed members of Parliament in Australia and Canada concerning the protection of the medically vulnerable. Bobby holds an M.S. in bioethics from the University of Mary and a certificate in health care ethics from the National Catholic Bioethics Center, as well as degrees from LaSalle University and Florida State University. He lives in Cincinnati with Kristina, his wife, and a happy family of nine, where he serves on the Cincinnati Right to Life board of directors.